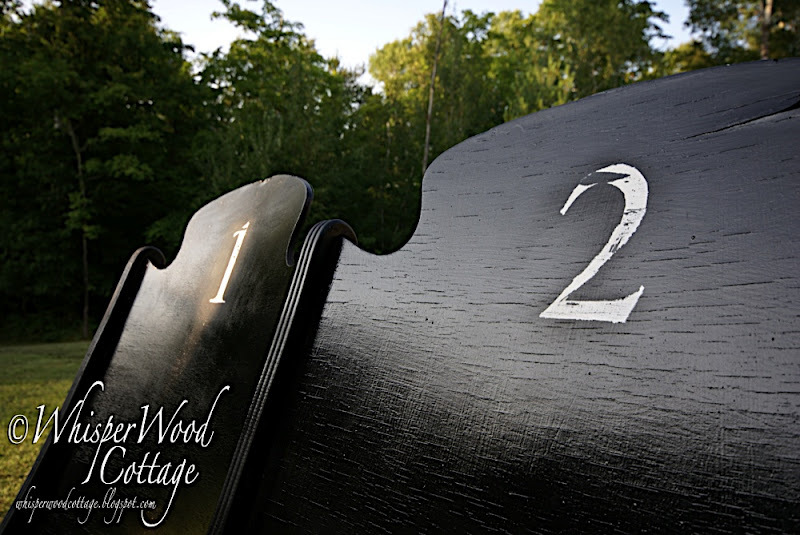 WhisperWood Cottage: Do You Have Your Tickets? et your tickets now!...if you want to reserve a seat here! Actually, tickets are all sold out!! I took this theater seat/bench to sell at Oronoco Gold Rush Days. When my brother saw it at the show, he wanted it for his very own. He packed it up and took it home with him that day. Happy early birthday/Christmas, Randy!! 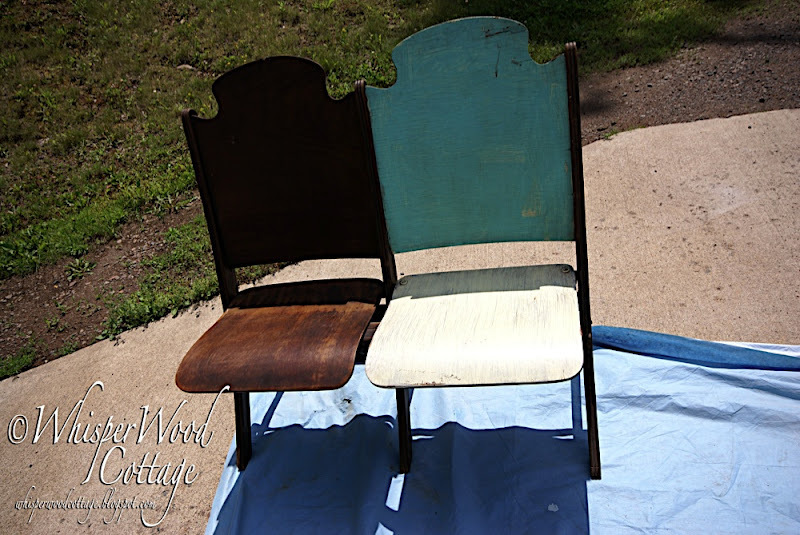 A junk makeover is a beautiful thing, isn't it? And I am completely inspired by the way these photos capture the sunlight. Can you feel the sun and smell the freshly cut grass? Aaaaah, so relaxing. The perfect end to a productive day! So cute!!! What a transformation!!! oh...and love that second last picture especially! beautiful!!! Wow! This looks beautiful! You've got one lucky bro, I'd say. Thank you so much for joining me today. There are a lot of inspiring things about what you just showed us. Being close with your family is so special, and indeed inspirational. Your ability to see the beauty in things that aren't immediately beautiful, and the way that you captured the whole scene is inspirational. I love the sunspot in that photo. Have a wonderful weekend, girl. I'm loving them!!!! The photos are wonderful too!!! oh my goodness goodness ... how brilliant you are! i love the fact that you rescued these beauties and transformed them into such great purposeful pieces! cool! so, good for you! yay! this is exciting and i am so happy for you! 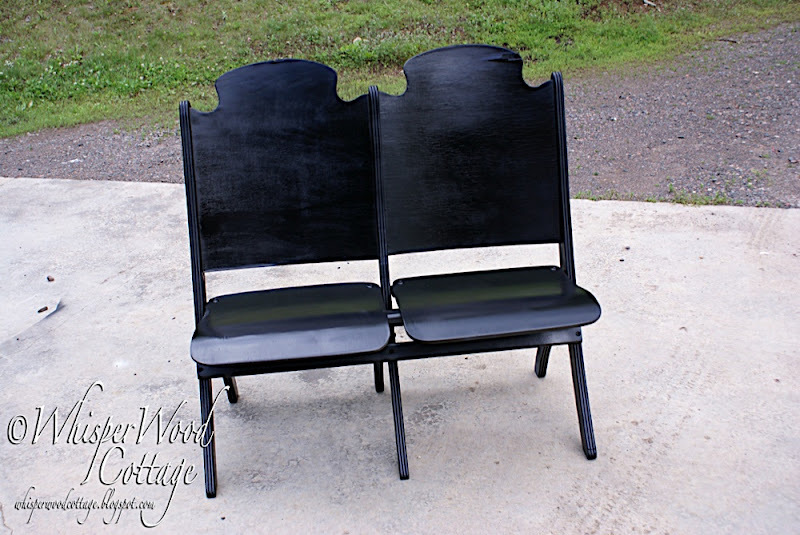 I've decided that black is my favorite color for vintage folding chairs. Love the numbers! I love this! How nice that you'll be able to see it at your brother's house and I think that's the best compliment ever! how adorable are those chairs... SUPER ADORABLE! great job! 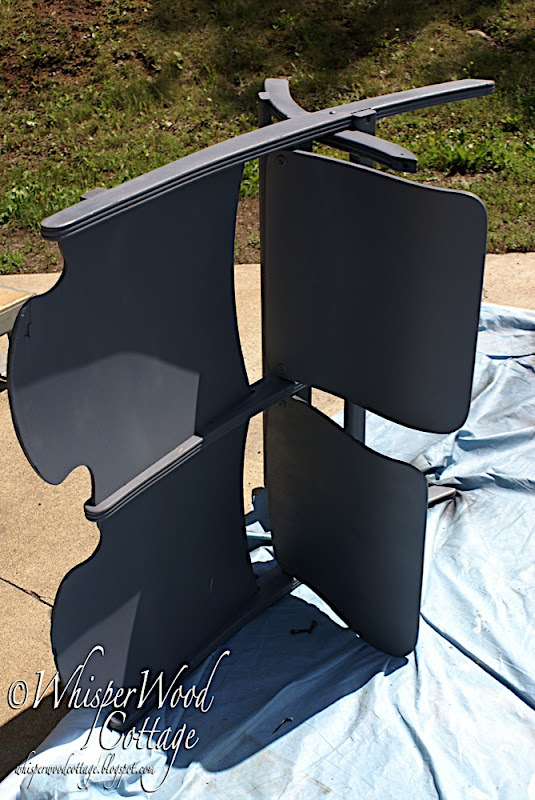 Beautiful transformation, the numbers add the perfect finishing touch! Very nice job! I love the redo. i love numbers and letters....this turned out so cute! 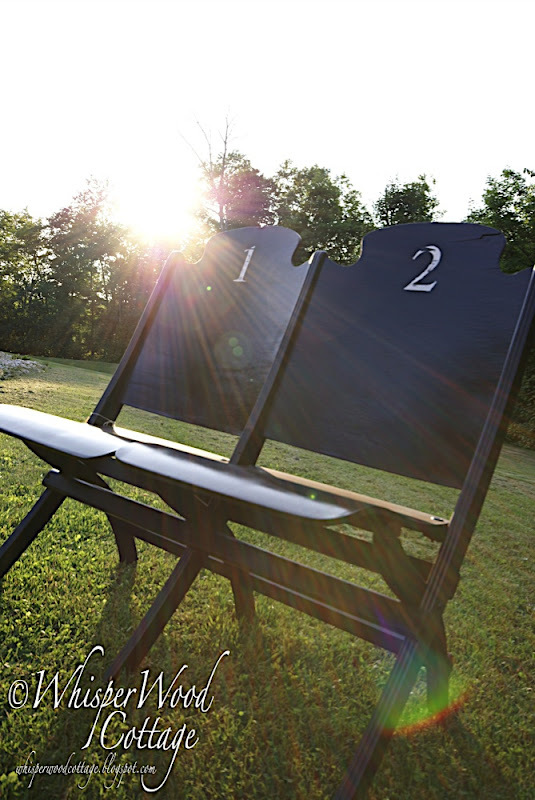 Very clever way to add a little whimsy to these great chairs! Great job - very striking! You did a great job making these seats look like they came from the pages of the Pottery Barn catalog. These are so cute! I love the new color and numbers. Those theater seats looked amazing! I'm definitely hooked on numbers....they add a great finishing touch! I love them painted black! The numbers look great! Did you used a stencil? This transformation is unbelievable, and your, PHOTOS??? ?----TRULY INSPIRATIONAL as always!! i did a numbers project this week but i like yours way better!! i love theatre seats, i'm always on the look out for some but haven't found any yet. Those look great... love the number painted on them too! This is extremely cute! I love it. I am so in love with number and lettered things. I guess it is good we call our kiddos G1, G2, G3 and Miss G4. In all my travels I have NEVER come across theatre seats...NEVER! I am dying to get my hands on some. Your transformation is SUPER! LOVE the bench! Good for Randy taking it---I wouldn't have been able to part with it! This is wonderful! This is one of my all-time favorite before-and-afters! What a cool use of those old seats! I love how those benches turned out. Beautiful! LOVE THESE!! great job amy! Beautiful!!!! I like your brother would have snagged it up in a heartbeat. Great work. Thanks so much for sharing!!! I see why your brother wanted it. I would have too. But I'm sure I would be in a very long line for it. I hope he appreciates what a good sister you are. Great concept and demo! Thank-you! What a great transformation!! Good job! What an amazing find and even more amazing transformation! I was sent over by Trash and I'm glad I stopped by! Just became a follower. Are you painting on a golf course? Good for you! 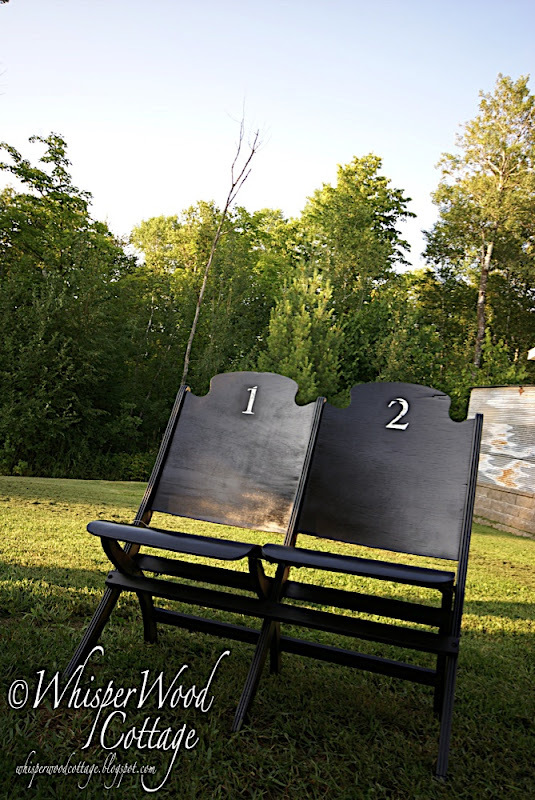 Love your numbered seating! See.You.Tomorrow! I wish I was related to you so I could claim some of your beautiful things for my early birthday and Christmas presents! I will just have to settle for reading about them on your blog! Hi there! 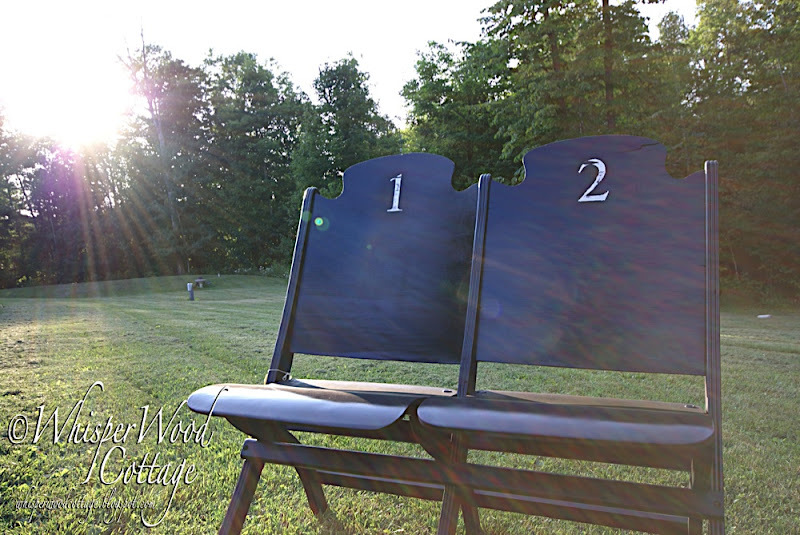 Stephanie from http://thewhisperingcreekhouse.blogspot.com/ I love these benchchairs! Where do you plan to use them? Looking GOOD...numbers and letters are awesome! Wow that is a great makeover... love it! !